EBook publishing is the easiest and cheapest way to get your writing in print today. 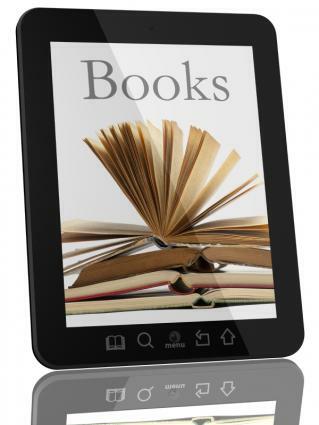 You can write short or long books, fiction or nonfiction, and your eBook can be created as a print or digital version. Because of the various options you have, it is important you understand which format is best suited for your content so you can get your eBook into your readers' hands. You can write eBooks on anything, but your most lucrative sales will come from a niche market that you know something about. What's your obsession? Do you have a hobby, a talent, or anything else you can share with others? Is there an interest you'd like to research and develop? If you already have a website, you can write an eBook that echoes what you have there, or even incorporates some of your content. By selling or advertising an eBook for sale on your site, you establish your credentials as a guru, too, which can help sales and/or bring traffic to your site. Although the current trend for eBooks seems to be focused on Kindle-type formats, your eBook can actually be a print book that someone can download. For certain topics, it can be the best option. For example, if you write a book filled with patterns or blueprints for birdhouses, users would be better served if they could print the patterns, copy them or maybe even enlarge them. If you take the time to think about how your content will be utilized by the end user, it should make choosing a format easier. Just as some content works best in a print format, other content works equally well or better in an electronic one like Kindle or Nook. Part of the enormous success of electronic book companies can be attributed to the fact that electronic versions of novels or other text-heavy books can be just as effective as print versions. In fact, people can carry a large selection of electronic books in a very small amount of digital space - which, of course, also means they are available in a moment's notice. If there are no compelling reasons to make your eBook a print version, go digital. It's critical in eBook publishing to format your manuscript properly, with at least a table of contents, a cover page, and numbered text pages. An index is also nice. Use a word processing program such as Microsoft Word or Open Office to write your book. Print: If you are going with a print eBook, convert the finished manuscript to a PDF file. PDFs are handy because many eBooks sites accept the format. Just double check that your PDF looks as desired before you upload the file. Digital: If you want your document to be accessible in an electronic reader, you will need to convert to a digital format like EPUB or MOBI. You can use software like Calibre to assist in the conversion process. Keeping the content and design of your manuscript intact during the conversion process is crucial if you want a professional looking eBook. You can eliminate some potential issues by using a basic font like Times New Roman at a common size (10 to 12 points) and keep your line height at 1.5 or less. Avoid styles that are specific to word processing applications - like drop caps, page numbers or floating images to the right or left. If you choose to go with a PDF, you can also include options that lock out unauthorized viewers with a password protection, or you can set your book up so no one can copy any of the text from your PDF. These utilities are available when you convert to PDF format, but the specific manner of applying them depends on the software you're using for conversion. The International Standard Book Number (ISBN), is the number associated with the barcode you see on every modern book today. Whether or not you need an ISBN for your eBook depends on how you plan to distribute it. Each vendor or site has different rules. For example, Kindle Direct Publishing does not require one, while some others do. The ISBN coordinator of record for the United States and its territories is R.R. Bowker. You must go through this company if your physical mailing address is in this region. If you live outside the United States, you can look up your ISBN coordinator at ISBN International. You can purchase a single ISBN for $125, or a block of 10 for $250. You can use an entire batch yourself if you want to publish multiple eBooks, or you can let other people republish under the name of your publishing company for a fee. However, you may not legally resell the numbers or purchase individually-sold numbers from others. If you are confident in your ability to create a professional looking eBook and have the site traffic to warrant it, you can hold on to more of your profit by using digital downloading providers. If you are not comfortable with that approach, you can use vendors who offer file conversion and content promotion. If you have already converted your text document or PDF manuscript into an EPUB or other digital format, you can use apps or plug-ins to deliver the content from your website. These products use the business model of taking a percentage of net sale, charging a fee per transaction or a combination of both. Gumroad: This platform is designed to allow eBook authors to sell directly to customers. It is a payment and digital delivery system that can handle eBooks, music, film - basically any type of digital product. You pay 5 percent and 25 cents per transaction for the service, significantly lower than the 30% commission you'd pay to sell through Amazon. FetchApp: The concept behind this site is more about storage than product sales. FetchApp offers a variety of plans, ranging from free up to $500 per month for 100 GB of storage, but at its core it is a payment system that permit digital downloads. They even offer a plan for $10 where you supply the storage (which would remove low storage restrictions). The system works easily with PayPal and major credit cards. WooCommerce: WooCommerce is a popular plug-in that can be used to deliver your eBook to customers via a WordPress site. The free version of this product lets you set up a store, receive payments and deliver the eBook from inside your website. If you feel comfortable uploading and converting your manuscript, but want a wider distribution than your own website many vendors offer free packages that do just that. If you do not want to be involved in the nitty-gritty of electronic publishing those type of packages are available as well. BookBaby: For $99 this company will convert common formats (Word, HTML, PDF, etc.) into EPUB and MOBI formats, distribute it to their retail partners and allow you keep 85% of the net sale. However, if you supply them with an EPUB version of your manuscript, the $99 fee is waived. For $249, they will forgo the 15 percent commission and allow you keep all the book's profit. Booktango: This site offers a free option where you upload and format your manuscript and then they automatically distribute your eBook to national retail chains. Although, their site promotes their 100 percent royalty to the author, it is a little misleading. You receive 100 percent of the list price when an item sells on the Booktango site, but 100 percent of net (sale price less retailer and transaction fees) on other sites - which can drastically cut into your profit. Lulu: In a similar approach as Booktango, Lulu offers a free option where you can upload and convert your manuscript and they will automatically distribute it for you. They work off of commission, so if your book sells on a retail site, you keep 85 percent of the sale price. If it is sold through the Lulu site, you keep 100 percent. Smashwords: This company has made a name for itself by its large indie book offering. If you have a unique eBook with a specialty niche, this service should definitely be high up on your list to consider. Besides appealing to a unique market, the company also provides free ISBNs. Publishing is also free since they work off a commission, which runs 15% or less of net. XinXii: Similar in concept to Smashwords, it is free to use their service. XinXii accepts common file formats and distributes to major retailers like Amazon. However, the amount you receive for a sale varies significantly. For lower priced eBooks (less than $2.50), you receive 40 percent of net sale. For higher priced books, you receive 70 percent of net sales. Once you have your eBook published, the sky is the limit. But, you need to balance a couple conflicting ideas: exposure and commission. In a perfect world, everyone would find your eBook and there would be no need for a middle man. However, few new or relatively unknown writers have a large enough following on their website to justify this approach. Instead, you will want to utilize options that have a larger audience - such as Kindle - so you can increase your exposure. An advantage of distribution via Kindle is that Amazon lets some customers borrow eBooks, which opens up a world of potentially new customers for you. Kindle pays a fee to the eBook owner for each borrowed title, providing an option for non-sale revenue. You may even want to consider offering free samples of your work by letting users download the first chapter via Kindle at no cost. By using multiple approaches for making your eBook available, you increase your odds of success as an author.